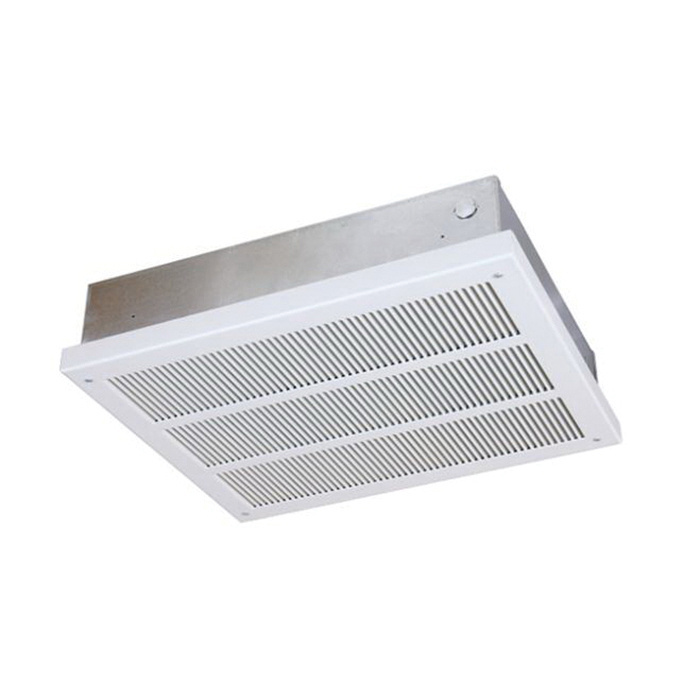 Q-Mark T-bar frame kit is compatible with EFF series ceiling-mounted fan-forced heater. This kit has an integral thermostat for quick installation. The kit features thermal overheat protector that can remove the power due to over heating. It has a flow rate of 200 CFM and power rating from 1500 to 4800-Watts. The frame kit features a built-in power disconnect switch that ensures extra safety during maintenance. It is suitable for offices, stores, schools, churches, hospitals, dormitories, airport terminals, reception rooms, entrance lobbies, corridors and stairwells.